My mother watched sports, college sports that is. My father, not so much, because it upset him. So I saw some sports on TV growing up. Then I got married! And my husband is an avid sports fan. The TV is either on a sporting event or a crime drama whose themes (no matter which channel you watch) always seem to have a crime against women episode. I guess their producers are trying to emulate real life and that I find disturbing. Watching those shows makes me fearful to leave my house alone, which goes against every independent woman philosophy I have. Anyway, I digress. Living in SEC* country and married to a man with his finger on the remote, I watch a lot of sports and enjoy it. One thing that seems to separate a good coach from a great coach, is their ability to coach during the live game. You’ve got to have a lot of W’s* to become a great coach. I realize there is more to being a coach than coaching during the heat of action. There is recruiting (hugely important), training, teaching, team building, hiring, forecasting, negotiating, PR* and the ever-important game. To put them in order of importance: You have to Win games, recruiting is second because you have to have talent, teaching, training, team building, forecasting, and PR last. Nick Saban* doesn’t care what you think about him, because it doesn’t matter. He wins, no questions asked. I have noticed good coaches can recruit, teach, train, team build and they win their games about 70% of the time. Great coaches do all that but they win 90% of the time. How do they win? 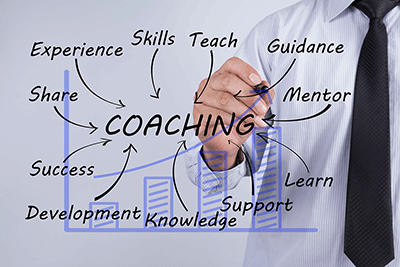 What is the great coach’s secret? They watch the other team and play to their weakness of the day. Too many coaches just want to keep playing their own game without much thought to their opponent’s game day weakness. I am sure prior to the game, coaches and players watch the tapes and know their opponent. But, during the game all that they think they know is subject to change due to injuries, climate, or for whatever reason, it’s different. I know being able to switch up your own game requires a deep bench and goes back to having recruited, taught and trained well. 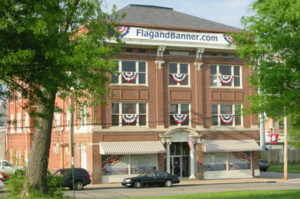 What would happen if Flagandbanner’s sales were low and I went onto the sales floor and clapped my hands in succession and said, “hustle, hustle, hustle?” Even my grown sales people need more direction than that. When Flagandbanner’s sales are waning, I change company direction. Then, I tell my team what to do. That is what a leader does. That is what a great coach should do.